​The unkillable demon king. The franchise player of SK Telecom T1. Three-time world champion. The greatest of all time. Sang-hyeok "Faker" Lee is the most famous and legendary player in ​League of Legends history. It is difficult even in hyperbole to overstate the impact he has made in the game, and he will forever deserve respect, admiration, and a bit of fear for his talent. But no one can remain the indisputable champion forever. Several years after his spectacular debut, Faker's long reign as the heads-and-shoulders deity of League of Legends has come to an end. This might seem obvious. Faker hasn't won the League of Legends World Championship since 2016, suffering a crushing 3-0 loss in the 2017 finals and ​missing out entirely in 2018 at both the Mid-Season Invitational and the League of Legends World Championship in what is the worst season of his career. Even his title as the world's best player was challenged by the likes of Zi-Hao "Uzi" Jian and Eui-jin "Rookie" Song. But even throughout 2018, the mystique remained, in part due to the Herculean performance by Faker at worlds in 2017 to drag his team to the final. It helped that the SKT lineup around him in 2018 was by far their weakest in history; other than Faker, it would've been laughable to suggest any of his teammates was even a top five player in their role. Fans comforted themselves with the knowledge that in a new team, Faker would continue to shine, but with greater team success. At first, that seemed plausible. The ​2019 SKT lineup is a dream team of which most could only ever dream. With superstar talent from top to bottom, this is a team for whom, ​at inception, anything less than LCK championship and world final would be a grave disappointment. 우리 팀 오늘 경기 1:2로 패했습니다. 응원해주신 팬 여러분 감사합니다. Now, three months after the team's debut at the KeSPA Cup 2018, we find an SK Telecom that's happy to be second place ahead of newcomers Sandbox Gaming and just behind Griffin. And Faker is just as complicit in this silver medal as the rest of his teammates. Because Faker is no longer the Unkillable Demon King. In this new roster alone, he has been solo-killed in lane by ​rival Bo-seong "Bdd" Gwak as well as ​young hotshot Su "ShowMaker" Heo. And while Faker's been solo-killed in the past, he still proved that the occasional misstep didn't stop him from being by far the best player in the server, a status that seems to elude him in 2019. 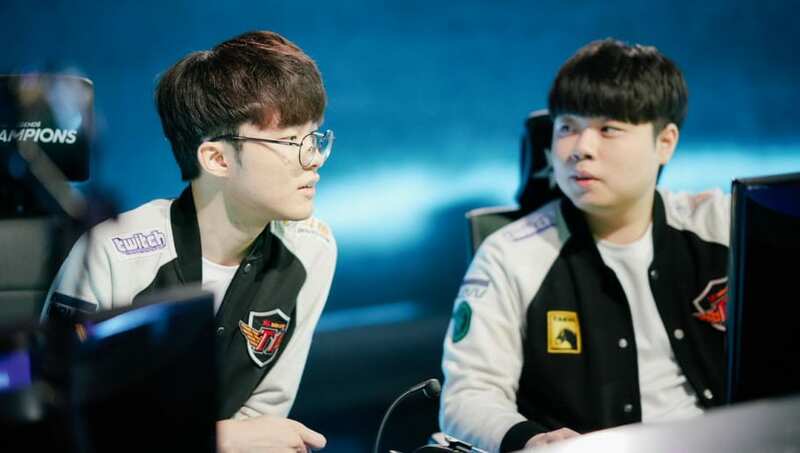 In ​Game 2 of the must-watch rematch against Griffin, Faker's trademark aggression was a liability to his team as he repeatedly teleported into his death, despite the heroics by teammate Dong-ha "Khan" Kim on Riven to try and keep SKT in the match. It is said that all it takes to cause doubt in the pious is to make God bleed. Faker is still very much the big name in the pantheon of mid laners alongside the likes of Bdd, ShowMaker, Rookie, Ji-hoon "Chovy" Jeong, and Ding "Knight" Zhuo, but he is now merely first among equals. I was one of the only people to openly criticize and make remarks about how much better Faker *could* be and how bad he was in comparison to a *future* player in 2014/2015. That time came. It's not hocus pocus. Faker has had dips in performance before and always managed to bounce back, but this feels different. Before, a dip in performance put him in reach of his rivals. Now, a dip in performance puts him behind them. In 2019, Faker went from a godly player to a great player, and the world feels the lesser for it.